Gift your loved ones in all cities in India something exquisite this festive season. Exquisitely designed and delicately foiled with gold plating, gift this amazing rose that shall live on, like your love forever. The choicest blossoms are picked and meticulously worked upon to bring you the eternal symbol of love - a golden rose. The petals are finely curved making it a gift to cherish forever. 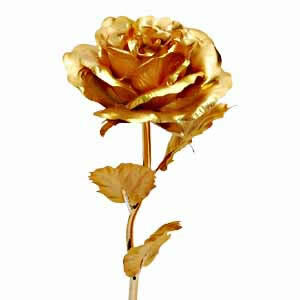 Send this golden rose to your loved ones along with other Gifts across India through GiftsAcrossIndia.com to be delivered in a safe and speedy mode.